Private military firm, European Security Academy, carries out a training exercise. LONDON — In a new report, a British anti-poverty charity puts Britain at the center of a growing global mercenary industry worth around $560 million to companies in the United Kingdom alone. In its report, “Mercenaries Unleashed: The brave new world of private military and security companies,” War On Want names a number of major military and security companies (PMSCs) making vast profits in conflict zones around the world, including Control Risks, G4S and Olive Group. 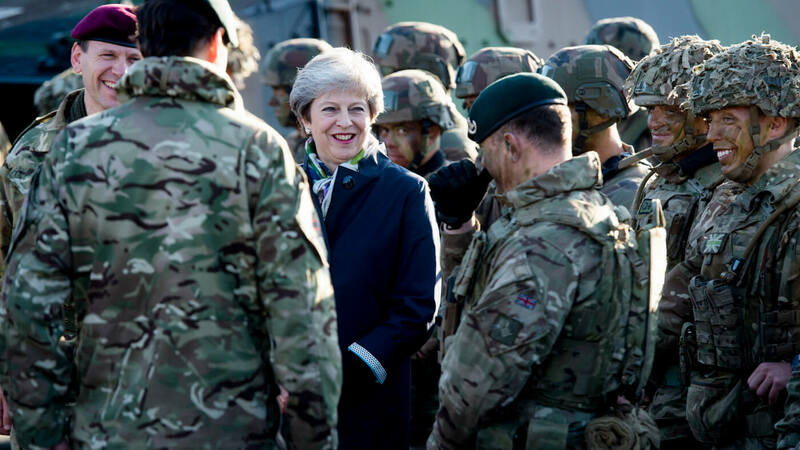 The U.K.’s Foreign and Commonwealth Office, for example, has awarded contracts to PMSCs in conflict zones with a combined value of around $70 million each year since 2003. This includes nearly $210 million in the five years between 2007 and 2012 awarded for operations in Iraq. According to an earlier War On Want report in 2006, a proliferation of security firms led to human rights abuses, a flourishing weapons trade and political destabilization. The latest briefing provides an update on the situation, noting that hundreds of new PMSCs have been established in recent years in a secretive industry worth hundreds of billions of dollars. War On Want argues that the U.K. government could be complicit in the aforementioned crimes because it has allowed mercenaries to regulate themselves. No fewer than 14 British PMSCs are based in Hereford, England, close to the headquarters of the British army’s Special Air Service (SAS), while at least 46 PMSCs in the U.K. employ former members of the British special forces. While the report focuses on British firms, it also highlights the close links between the U.K. and the United States within the private security industry. Control Risks is a London-based security firm that operates in war zones around the world. Most of its staff, like Jim Brooks, are former members of the military and intelligence community. Meanwhile, the company’s Middle East operations are overseen by Andreas Carleton-Smith, a former officer in the SAS, and its Iraq operations are headed by David Amos, a former officer in the British army, who now leads more than 1,200 people with 340 armored vehicles in sites across the country. The War On Want report says that as the large-scale military occupation of Iraq by American and British troops wound down, PMSCs expanded in scope. Contracts in the Middle East have brought huge profit increases to PMSCs, and War On Want points out that many, including Control Risks, have been hired to protect the oil and gas sector in Iraq. Private military contractors are being increasingly employed to police the world’s waterways. After the video leaked, Bloomberg reported that it “highlights a lack of rules governing the use of weapons on the high seas amid questions over how much force is legal and necessary to fight Somali piracy attacks.” Reporters also noted that it “risks a Blackwater moment,” referring to the 2007 incident in which Blackwater Worldwide employees opened fire, killing civilians in Baghdad. “Nothing could be further from the truth. Far from the callous, unprovoked mayhem implied by the Bloomberg article – and swallowed whole by the War On Want report – Trident Group’s subcontractors acted with restraint, and in full compliance with established rules of engagement,” the statement continued. Trident Group pointed out that it has been a signatory company to the U.N. International Code of Conduct since 2009 and continues that status to this day. Further, the report also explains how PMSCs exploit a legal loophole when it comes to use of arms in international waters by making use of floating armories. These ships are harbored at sea, stocked with high-power rifles, ammunition, night-vision goggles and other military-grade material. The U.K. Department of Business, Innovation and Skills has issued 50 licenses for floating armouries operating in the Indian Ocean and Gulf of Aden, according to a December 2014 report from the Omega Research Foundation. Academi, Control Risks, Olive Group and the U.K. government all declined to comment for this article.